Kingsman: Martini and a mic drop. Hands downs the best couple of hours entertainment i've had in AGES. Simply sublime stuff. Seriously, no spoilers. Just get your arses to the cinema and watch this if you haven't already. I was prepared to dislike it on the lead character alone; full disclosure, I hate that 'estate' accent with a pure and blazing passion. But despite that I internally winced everytime he opened his mouth, Taron Edgerton took the stereotype and made it work. 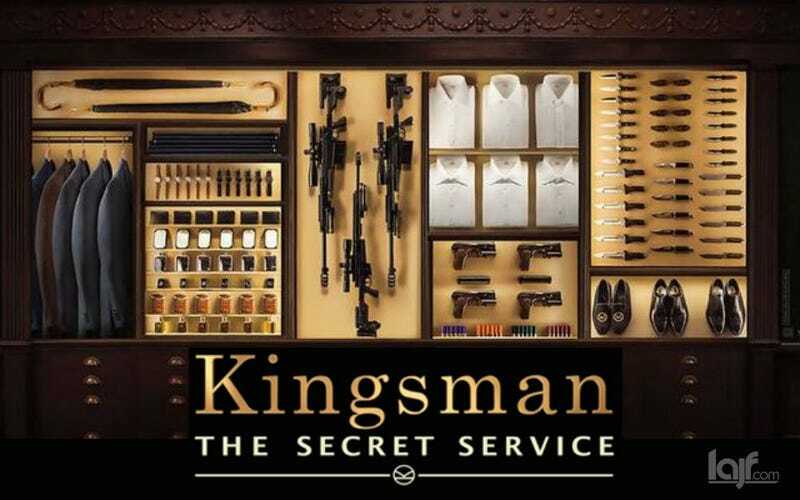 Colin Firth was just plain fantastic and Mark Strong was just as watchable as he always is. As a 'Bond' movie... I think i would describe it as the anti-Daniel Craig Bond movie. Where the reboot took on a realistic and gritty tone, eschewing the gadgets and gizmos and made a fantastic spy thriller from it; this movie takes all the spy toys and boys adventure they discarded and made a equally amazing film that just makes your eyeballs explode. Charlie Jane already posted a review of sorts earlier but to sum it up, the real star of the movie is the fight choreography. Just absolutely amazing from start to finish. It felt so visceral and real, even as it was so incredibly flashy and hollywood. A totally bravura performance for all involved. Seriously people, this movie just made my top ten all-time favourites. It might not rank as high on your own lists, but I think it will still impress.